Come over to our house because we have the toy! This would have been an awesome under the tree gift for all three of my boys, but they were a bit spoiled and received it early. I guarantee the GOTRAX HOVERFLY hoverboard will be the favorite present for ALL, so if you’re looking for that one gift to do that – go grab one! When the hoverboard arrived I told P’Diddy that this probably wasn’t for him until he was a little bit bigger. Boy, was I wrong! He is the pro of the family and rides it all over the house. Believe me our house is not big, but he spends countless minutes going in circles. hahahahaha. The hoverboard was designed for intergalactic expeditions (yes!) and does take a bit of a learning curve because balance is involved. We started learning inside our house on the rug, with the quick and easy Training Mode feature, and held their hand until they got it a bit. It’s supposed feels like your floating or hovering – and it really does! When they were comfortable we tested it outside and up and down the sidewalks they went. Now they even walk the dog this way! Reach speeds of up to 7.4 mph for up to 12 miles on a single, full charge. Indicator lights will signal when it’s time to be charged again and then you can easily plug it into the wall. It has a lot of safety features including non-slip foot pads, protective bumpers, and will stop if you fall off because standing on the hoverboard and shifting your weight is how it moves. Travel in space-age style (really!) with the HOVERFLY’s cosmic colors and lunar-bright LED lights – Mars Red, Neptune Blue, Nebula Black, Planetary Purple, Pulsar Pink. Designed right here in Denver. Your family is going to have SO MUCH fun! Find the GOTRAX HOVERFLY at GoTrax.com – $10 off coupon when you sign up for newsletter. Different models are different prices. This one is $179.99 with free shipping. WIN a GO TRAX HOVERFLY! I partnered with GOTRAX who sent me this item for free. All opinions are my own. Links are affiliate. This giveaway will end on Nov. 29, 2017 at midnight MST. Winners will be drawn via rafflecopter. Once a winner is drawn I will contact them and they will have 48 hours to reply before I draw a new winner. Giveaway is open to anyone in the US. You must be 18 years of age or older. Giveaway is not affiliated with Facebook & I release them of liability. Winner will be posted in the rafflecopter widget. This would make the perfect gift for my daughter! Both my son and daughter would LOVE this! My grandkids! If I win... this will be a Christmas gift for my pre-teen and teen grandchildren! My Son would love to find this under the tree! all the grands would love this! The color names are great! My little gkids would LOVE this! Their parents encourage outdoor activity, so this would add something new and exciting to do! My grand-daughter would LOVE this! I think my nephew would love it. My son would really like to have the Hoverfly. I think everyone in my house wants one of these hoverboards, even my husband. This would be for my nephew,he would love it! My 12 year old is dying for one of these. She asked for one last year but we were skeptical of them so we did not get her one. This year, it is at the top of the list again. My nephew would like something like this. My daughter who is going to be 13 on December 14th!! This would be an incredible birthday present!! I would be the best grandma if I had one of those at my house. We would all like to try it but I'm sure my daughter and grandson would battle for it! This is awesome! My little guy would have a lot of fun with one of these. Thank you for the amazing giveaway! Ok...I have always wanted to try one of these, but I'm not too sure about it. haha My son if crossing his fingers for me to win this! He has really wanted one, but they are out of my price range right now. Am I right? haha God bless and good luck everyone! My 7 year old son would love to try out a GoTrax Hoverfly. My youngest daughter would love this! Thank you! My nephew woul liked be it! My son would simply adore this if Santa left it for him underneath the tree! Oh, my niece would be in heaven if she received this as a gift. She's been asking for one. How fun does this look!??!?!? My son would jump for joy having this. I would love one for my grandson ! My son would love this hoverfly. 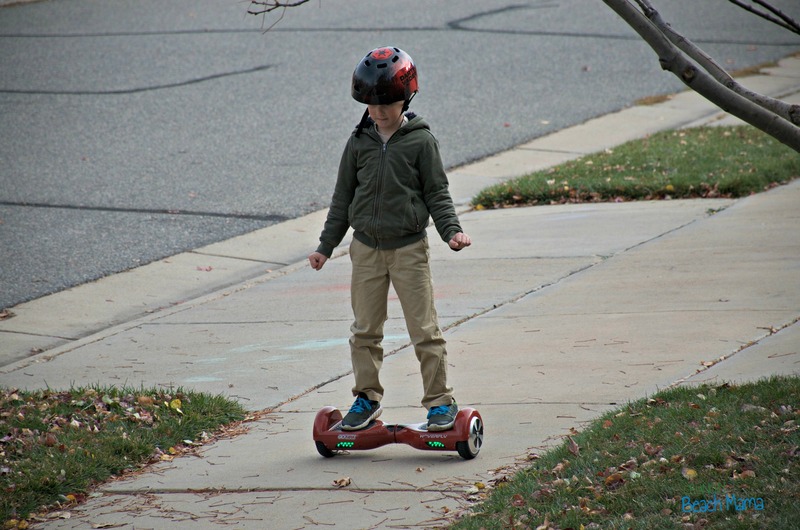 My son would have a blast with the Hoverfly Hoverboard! My kids would ALL love this. It looks fun! All four of my kids would love to get the GOTRAX HOVERFLY . I would love to try it out too! I know both my sons would definately love it ! My fiancé would actually want one. He has been eyeing them for forever. My Son would really enjoy this. Thank You for the great info. about the hoverboard. Either of my grandsons would love this! My kids would all love this. Especially my oldest. They are very into technology and love all kinds of gadgets and gizmos. My son would go crazy for this! My oldest son that is 9 years old would love one! My teenage stepson would LOVE this! Thanks so much for the chance to win! I would love a GOTRAX HOVERFLY at my house. My grandson Griff would be completely thrilled with this Hoverfly Hoverboard. He lives with my daughter, his brother and I and he has one on his Christmas list. I have two boys who would LOVE to have a GOTRAX Hoverfly! My sons would love to have one. This would make a very much enjoyed gift for my niece and nephew! If there's no weight limit, I think everyone in our household would like to give it a try. My nephew Anthony would love this. My son would love this! Would make a great gift! My son would love this under the tree. A friend of his has one and he already knows how to use it. I think my granddaughters would enjoy it but my son would too. 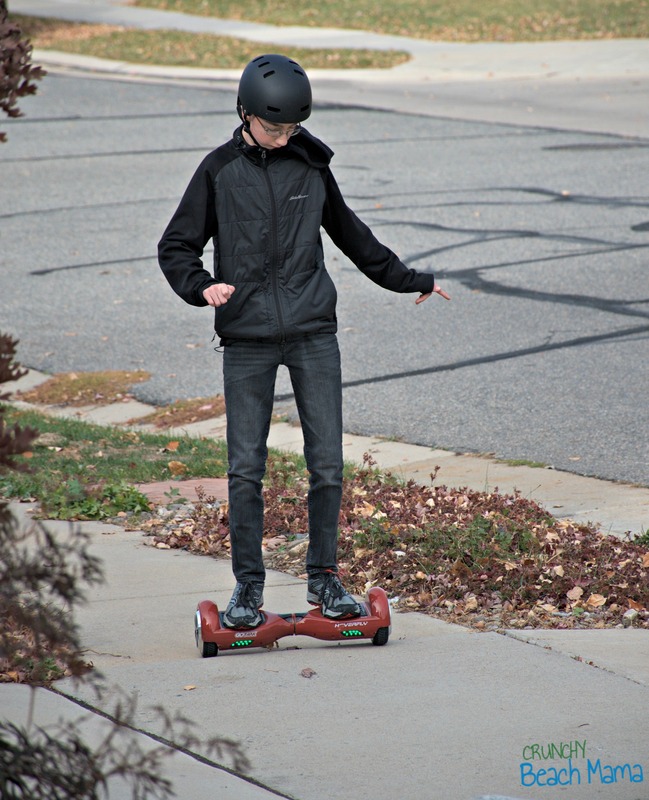 My 8 yr old son would love one of these hover boards! It would make a fantastic Christmas gift! My son Riley would love a hover board. My daughter would too so I’m sure they’d fight over it, lol. My kids, AND my Hubyy would love this! I don't know who wants it more. My kids or my husband lol. MY kids would have so much fun with this, looks very cool! Both of the kids would love this! I might have to get two in fact. Our two oldest kids would LOVE to see this under the tree this year! My daughter would love this. she has been asking for one all year. My grand kids are asking Santa for one, I sure hope he comes through for them. Dear Santa, all i want for Christmas is to win this competition for my children. It is the only thing they are asking for. Please help a girl out. I have been a good girl this year. I have 6 grandkids that would love to have this GoTrax! Heck, if I werent so darn old, I'd try it too! My husband would love this. They have been on the market for a few years now and I am sure all the kinks have been worked out. My grandsons would love this! Hoping. My son would absolutely love this! What an amazing gift! My niece would love this! Unless Daddy claims it, LOL! 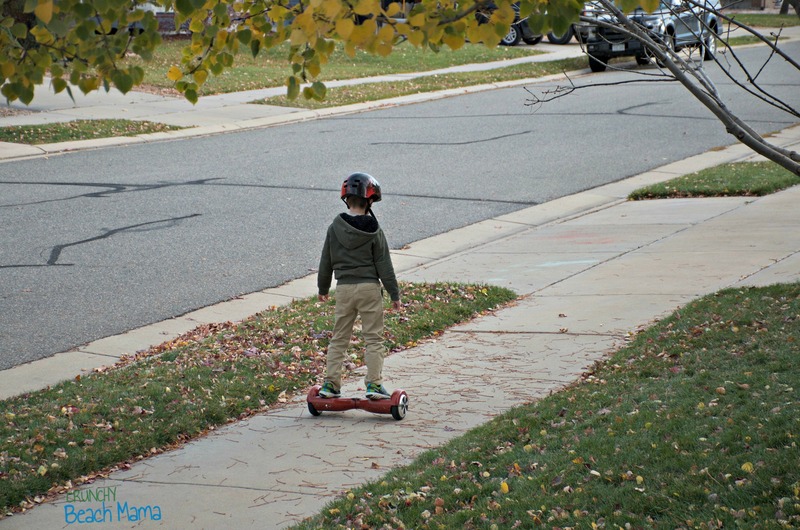 My 2 grandsons would love a GOTRAX Hoverboard! This would be a fun gift for my middle nephew. Thank you for the chance to win. Happy holidays! All three Grandkids would love this-I'd like to try it myself! I like that you can even ride it on indoors, makes learning a little safer. All of my kids would love this. My daughter and my nephew would be going around the house on this! Both of my sons would love a GOTRAX HOVERFLY!!! They have both begged me for one and it's at the top of both of their Holiday lists! My daughter would actually love to have this!! Both my husband and son would have a blast ont he Hoverfly Hoverboard!! I am sure that my girls would be interested as well, though they may be a little hesitant to get on it. :) I still don't understand quite how it keeps you upright, but it reminds me of Back to the Future and that makes me happy! I've never seen this type of one it's pretty cool. I would love to win for my kids. Thanks for the review! My nephews would go crazy for these and it would be something new and fun to do for them! Great Christmas gift!! Thank you!! I would love to have one BUT I have enough sense to know I would fall off and break something :-) It would go to my great nephew who would love it. My son would want one of these at our house. This would go to my son. He just spotted someone going down the street the other day on one similar and asked for it for his birthday. My oungest son Trevor would love this so much.. he'd have a ball with it! My daughter would love to see one of these under the tree! My grandsons have been asking for one of these for Christmas. They do look really fun. My son who has been wanted one for 3 years. Good luck to everyone. My kids would be thrilled it would be a wonderful Christmas present. Thanks for the chance :) very generous! My nephew would love to have this hoverboard. My children would love to have a Hoverboard for Christmas. Thanks for the chance to win such an AMAZING giveaway. I have three kids that would all love to have one for Christmas. My grandson would love a GOTRAX!!! It would make him very happy this Christmas. Thanks for the chance to win one! Yes, this looks like a fun activity toy. Omg my son has been asking for this this would be soooooo amazing! Ty for the opportunity ❤️ Merry Christmas! My nephews would like this! My nephews would get a kick out of this. heck, this would make a perfect gift for ME to try! My son would love love love one of these for Christmas! My older daughter and son would both love this! My 14 year old has wanted one of these for her birthday and Christmas for the last 2 years. This would be for her. My daughter would love one! She is a daredevil and loves trying new things. My niece would love one!! My friend would love one!